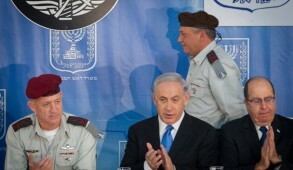 As predicted, on the eve of his retirement President Barack Obama betrayed Israel. The former long-standing congregant of the paranoid anti-Semitic pastor Rev. Jeremiah Wright who has a penchant for supporting to the Moslem Brotherhood, broke with forty years of U.S. bipartisan policy of protecting the Jewish state from the wolves at the United Nations. 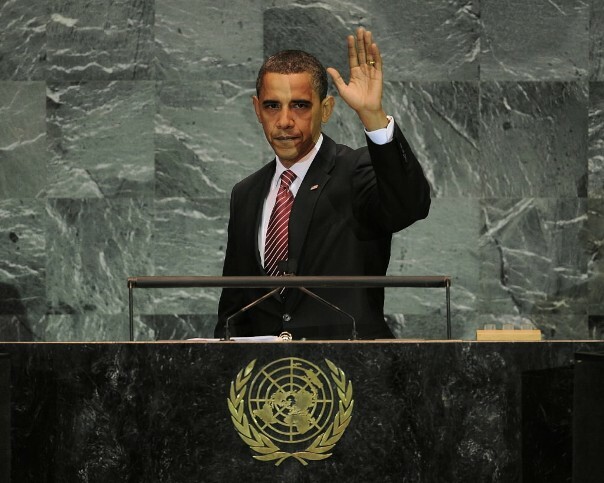 His action as a lame duck president was a last ditch effort aimed at undermining his successor’s intended policies, realizing that it is virtually impossible to rescind a Security Council resolution. At the end of his eight years in office he exhibited an unprecedented abuse of power knowing that in his last month he would be unaccountable, despite the fact that his vindictive initiative was totally opposed by Congress, the American people and even by many members of his own party. European countries represented on the Security Council voted in favor of this abominable resolution 2334 which was essentially drafted and orchestrated by the US and ultimately initiated by New Zealand, a Western country whose foreign policy is largely determined by the extent that it promotes export of lamb. Its co-sponsors were the rogue state of Venezuela, as well as Malaysia and Senegal. The resolution, passed during the week that Aleppo was conquered by President Assad in the midst of brutal torture and massacres of thousands of innocent civilians, highlights the duplicity and hypocrisy of the United Nations, a body dominated by anti-Israeli and rogue states with democracies groveling in an effort to appease the dominant Muslim nations. It will serve as an instrument for Israel’s adversaries to further promote boycott, divestment and sanctions and the International Criminal Court will be encouraged to define Israel as a criminal state. It officially nullifies the disastrous Oslo Accords, negates UN Resolution 242 and repudiates the concept of defensible borders. It paves the way for criminalizing all settlers, including those in the major blocs that will always remain part of Israel and even Jews resident in Jewish neighborhoods of east Jerusalem. It actually defines the Old City of Jerusalem and the Kotel (Western Wall) as occupied Palestinian territory. In this context the Palestinians will demand that any future negotiations accept these bizarre territorial definitions as opening benchmarks – a status that no Israeli government would ever contemplate accepting. The UN Resolution has effectively negated the concept of direct negotiations, thus ensuring that a peaceful solution to the conflict is more remote than ever. In this poisonous anti-Israeli international climate, we should not be influenced by the pessimistic prophets of doom in our midst. We are more powerful today than ever before and in the course of our history we have successfully overcome far greater threats to our existence than the United Nations. Now is a time for us to display unity and strength. Despite the many initial concerns, we should thank the Almighty that the American people elected Donald Trump as president. Were we now faced with a Clinton Democratic Administration, which in all likelihood would retain Obama’s policies, we would be confronting a real nightmare. In this context, if the proclaimed decision to move the U.S Embassy to Jerusalem is implemented it will send the world a powerful message. To his credit, Trump used all his weight as an incoming president in efforts to ward off the UN resolution, albeit unsuccessfully. He described the UN “just as a club for people to get together, talk and have a good time” and stressed that after January 20th “things at the UN will be different”. In the wake of his selection of pro-Israeli David Friedman as ambassador to Israel he appointed another pro-Israeli from his team, Jason Greenblatt as his point man for Middle East negotiations. He also demonstratively refused to grant an audience to retiring UN Secretary General, Ban Ki-moon. In light of these developments most of the mainstream Jewish leadership who were in denial for over eight years should share a deep sense of guilt and shame. They remained silent as Obama treated Israel diplomatically as a rogue state whilst he groveled to the Ayatollah. They continued voting for him and we now see how he repaid them. The only consistent critic was indefatigable Morton Klein, head of the Zionist Organization of America who has now been more than vindicated. Individual American Jews are free to express their personal political opinions in any manner they deem fit, but mainstream Jewish organizations are obliged to avoid activity which reflects political bias. The disgusting behavior of liberal mainstream leaders exploiting their positions to promote a partisan bias against Trump, including accusations of anti-Semitism against him and his co-workers before and during the elections, now stands out as being utterly unethical and outrageous. 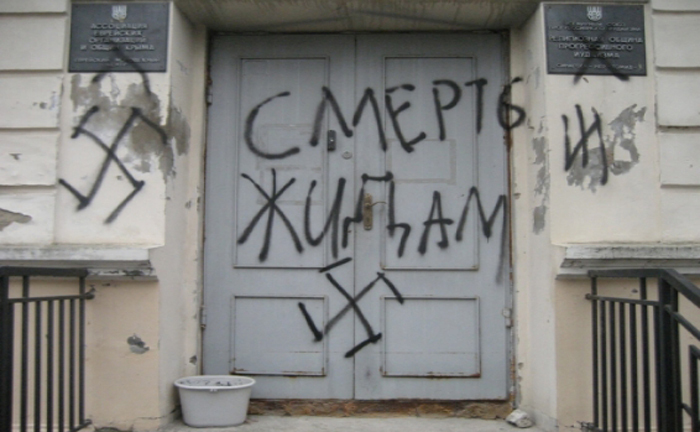 After the elections the Anti-Defamation League, the religious Conservative and Reform leaders all issued statements conveying their anguish and even mourning the results. 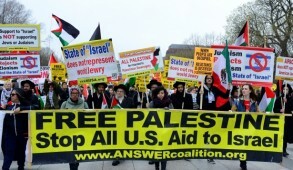 Some of these publicly supported the election to the Democratic Party leadership of the Muslim extreme left-wing anti-Israeli congressman Keith Ellison whilst bitterly protesting Trump’s appointment of a pro-Israeli ambassador. Others even protested that moving the US Embassy to Jerusalem would harm the peace process. The climax was the almost comic but bizarre boycott by major liberal mainstream Jewish organizations of a Hanukah celebration hosted by the Presidents’ Conference at the Azerbaijani Embassy in Washington because it was being held in a Trump-owned hotel. But now is the time for us to look forward and unite. This U.N. resolution was not just about settlements. It was to undermine the security of the state and pave the way for anti-Semitic boycotts and sanctions by those seeking Israel’s demise. The resolution employing Obama’s malevolent views made no distinction between isolated outposts and settlements in outlying regions and Jewish suburbs of Jerusalem including the Western Wall. Any Jew who endorses the view that Judaism’s most sacred site – formerly occupied by the Jordanians who denied Jews access to worship – is occupied territory is reminiscent of medieval “mosers” (informers), who were ostracized from the religious and social life of the community. Those in J Street, The New Israel Fund and other far left Jewish groups who consider Jewish districts of Jerusalem and Judaism’s holiest site to be “occupied territories” should be regarded as renegades and treated as such. The immediate challenge is to encourage the incoming Trump administration to salvage what it can from Obama’s betrayal of Israel. There are grounds for hoping that when the extremism of this resolution is fully comprehended some countries will have a change of heart. Besides, if current trends prevail, many European countries will follow the pattern of America and elect governments which will be far more pro-Israel than those appeasing the Muslims. 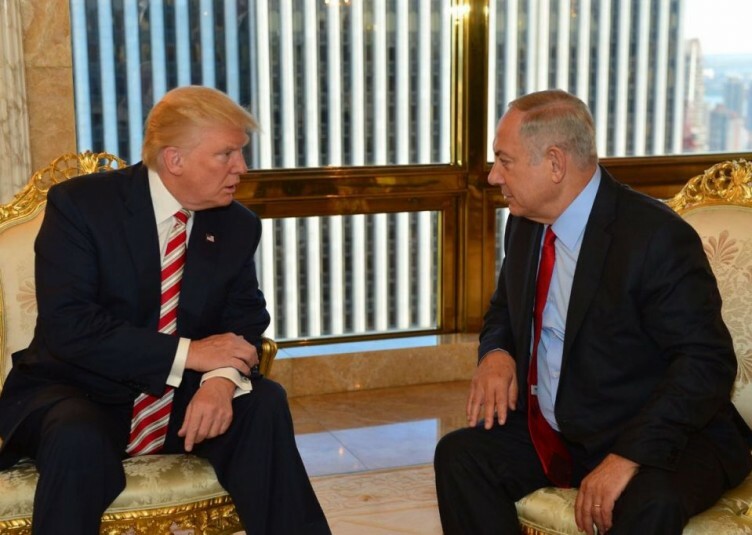 But above all, we must be optimistic that if President Trump will stand by his recent statements, Israel may enjoy the closest relationship it has ever had with the United States – which could more than compensate for the UN whose rogue actions have encouraged Trump to display open contempt. This is relevant when taking into account that the US funds 25% of the UN budget. Most important to note is that the moderate Sunni countries of Egypt, Saudi Arabia and the Gulf states will be desperate to ally themselves with Trump and are hardly likely to do more than express formal protests if and when the US treats Israel as a genuine ally. But for this to be effective, Israel must tread cautiously and not provoke the incoming administration by seeking to impose arrangements without prior consultation. Naftali Bennett and other right-wing elements should be silenced and Prime Minister Netanyahu must be enabled to determine the attitude of the new administration. 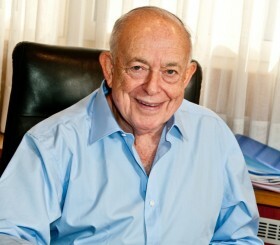 They should also realize that whilst there is close to a consensus for ultimately annexing the settlement blocs and creating defensible borders, most Israelis do not seek to incorporate Judea and Samaria in their entirety because this would effectively lead to the demise of a Jewish state and its substitution by a binational state which would be swallowed up by the Arab world. The recent statements and settlement policies certainly provided Obama with additional ammunition to justify his perfidious initiative. But it is almost certain that he would have acted no differently had the government not been engaged in any public discussion because his prime intent, since the day of his inauguration, has consistently been to impose such a settlement on Israel. 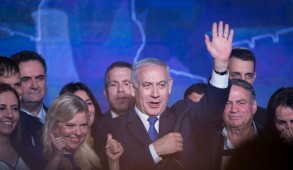 The reality is that all political parties – other than the Joint Arab list and Meretz – are no less opposed to this resolution than the government. This is surely a time for all political parties to set aside parochial squabbles and act in the national interest by displaying strength and unity. This will not be the first time that we overcame major challenges and subsequently emerged stronger than ever. 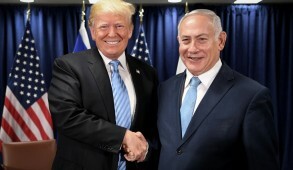 Despite this despicable UN resolution, the new Trump Administration could lead to major changes in the global arena which may have dramatic positive repercussions for Israel and so gives us cause to be confident and optimistic.